Since it is the National Theater of Korea, the main goal is to introduce traditional performance arts. It is composed of different types of facilities such as the Main Hall ‘Hae,’ a synthesized stage where all genre of performances are possible and the Small Hall ‘Dal,’ where daily performances by the National Art Groups are held, and the Studio ‘Byeol’ that seats and the stage change according to the characteristics of the performance. A cultural enterprise called <Saturday Cultural Plaza> is held every Saturday from May to September. 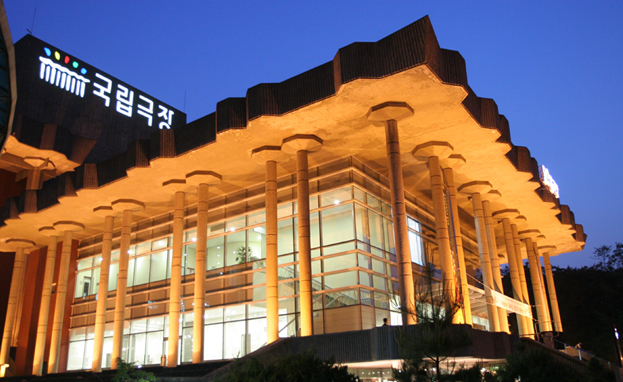 The history of Korea’s performing arts can be seen at the Performing Arts Museum of Korea.